Mr Trump caused confusion on Friday when he tweeted that "additional large-scale sanctions" would be withdrawn. It was thought he was referring to the treasury's move to blacklist two China-based shipping companies suspected of illegally trading with North Korea. While the White House said the president felt the sanctions were unnecessary, National Security Adviser John Bolton said Thursday's treasury sanctions were "important". 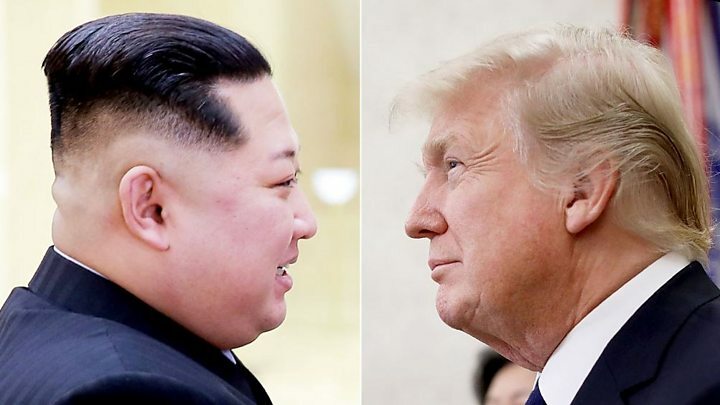 The North Korean pullout followed a failed summit between President Trump and North Korea's leader Kim Jong-un in Hanoi, Vietnam, last month. 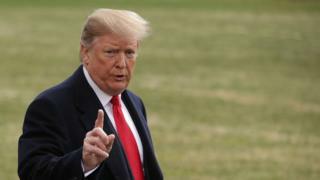 In a tweet on Friday, Mr Trump wrote: "It was announced today by the US Treasury that additional large-scale Sanctions would be added to those already existing Sanctions on North Korea. But there were no new US sanctions announced on Friday, leading many to believe he was referring to Thursday's measures. North Korea has been the subject of a series of US and international sanctions over Pyongyang's development of nuclear weapons and missile tests.